AUD 1,513 Excl. Duties / Taxes. This Marquise diamond is 0.5 carat in weight, and comes with Excellent polish and Very Good symmetry, as verified from an independent gemological laboratory. The diamond is graded E in colour, and has a clarity grade of SI2. The diamond's GIA grading report number is 6292959778, which will detail further its specifications and measurements, and will also come with the purchase of the stone. AUD 2,599 Excl. Duties / Taxes. This Marquise diamond is 0.71 carat in weight, and comes with Excellent polish and Very Good symmetry, as verified from an independent gemological laboratory. The diamond is graded F in colour, and has a clarity grade of SI2. The diamond's GIA grading report number is 6281224283, which will detail further its specifications and measurements, and will also come with the purchase of the stone. AUD 13,102 Excl. Duties / Taxes. 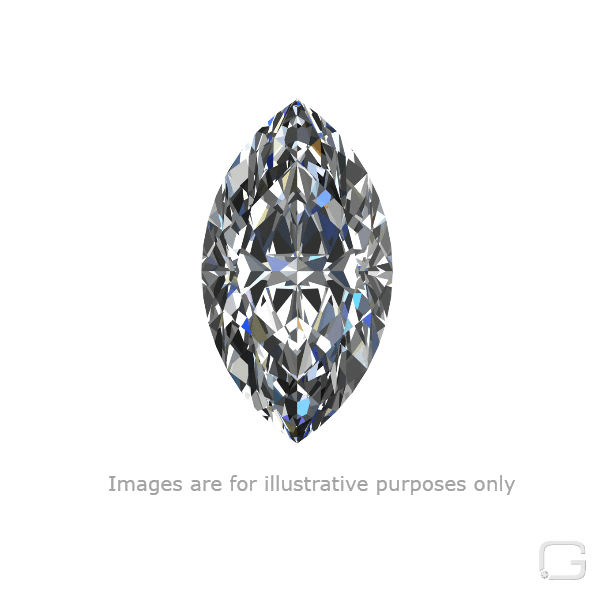 This Marquise diamond is 1.03 carat in weight, and comes with Excellent polish and Excellent symmetry, as verified from an independent gemological laboratory. The diamond is graded D in colour, and has a clarity grade of VVS1. The diamond's GIA grading report number is 5286870470, which will detail further its specifications and measurements, and will also come with the purchase of the stone. This Marquise diamond is 0.7 carat in weight, and comes with Excellent polish and Very Good symmetry, as verified from an independent gemological laboratory. The diamond is graded E in colour, and has a clarity grade of VS2. The diamond's GIA grading report number is 3285395970, which will detail further its specifications and measurements, and will also come with the purchase of the stone. AUD 1,166 Excl. Duties / Taxes. This Marquise diamond is 0.33 carat in weight, and comes with Excellent polish and Very Good symmetry, as verified from an independent gemological laboratory. The diamond is graded D in colour, and has a clarity grade of VS1. The diamond's GIA grading report number is 1319425402, which will detail further its specifications and measurements, and will also come with the purchase of the stone. This Marquise diamond is 0.4 carat in weight, and comes with Excellent polish and Very Good symmetry, as verified from an independent gemological laboratory. The diamond is graded I in colour, and has a clarity grade of VS1. The diamond's GIA grading report number is 3315907910, which will detail further its specifications and measurements, and will also come with the purchase of the stone. AUD 19,354 Excl. Duties / Taxes. This Marquise diamond is 2.01 carat in weight, and comes with Excellent polish and Very Good symmetry, as verified from an independent gemological laboratory. The diamond is graded F in colour, and has a clarity grade of SI2. The diamond's GIA grading report number is 2258200910, which will detail further its specifications and measurements, and will also come with the purchase of the stone. AUD 2,268 Excl. Duties / Taxes. This Marquise diamond is 0.73 carat in weight, and comes with Excellent polish and Excellent symmetry, as verified from an independent gemological laboratory. The diamond is graded J in colour, and has a clarity grade of VS1. The diamond's GIA grading report number is 1275776098, which will detail further its specifications and measurements, and will also come with the purchase of the stone.